Qatar is to pull out of the Organization of the Petroleum Exporting Countries on January 1. Sputnik looks at the history of OPEC, which includes a dramatic siege in 1975. "Qatar has decided to withdraw from OPEC as it wishes to focus on developing natural gas extraction and on bringing LNG (liquefied natural gas) production up to 110 million tonnes per year from the current 77 million tonnes per year," Qatari Energy Minister Saad Sherida Kaabi said on Monday, December 3. Qatar denied the decision was linked to a diplomatic row with Saudi Arabia and several other Gulf states. "This is a technical decision, motivated by our desire to strengthen the country's position as a reliable global energy supplier and also by Qatari oil production levels," Mr. Kaabi said. 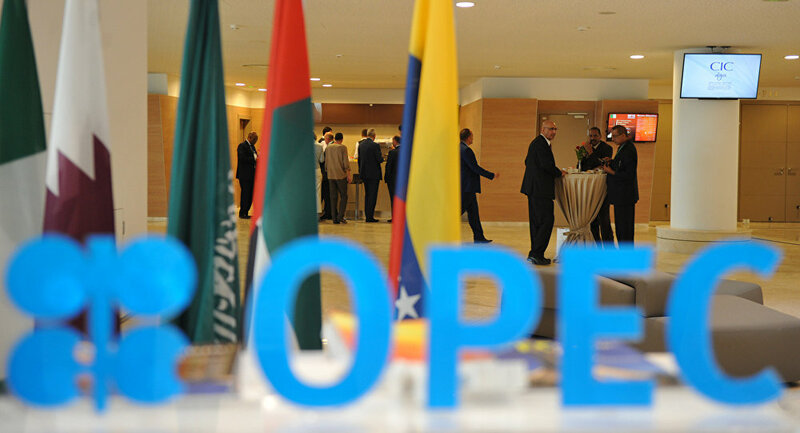 OPEC kicks off its 175th meeting in Vienna on Thursday, December 6. The cartel was created in 1960 by Iraq, Iran, Kuwait, Saudi Arabia and Venezuela. Qatar — the world's largest LNG producer — joined the oil cartel in 1961 and currently produces 609,000 barrels a day, making it the 11th biggest producer in OPEC. In 1971 Nigeria became a member and two years later oil prices rose dramatically after the Arab countries imposed an oil embargo in protest at US support for Israel in the Yom Kippur War. The 12 OPEC members agreed to an embargo on exports to the US, which meant oil prices quadrupled and remained high until March 1974. The following year OPEC suffered an even more traumatic incident. ​On December 21, 1975 Carlos the Jackal — the world's most infamous terrorist — led an attack on an OPEC summit in Vienna. The gunmen, mixture of German and Palestinian terrorists, took 11 OPEC oil ministers and 52 other people hostages. Carlos demanded they broadcast a political statement condemning Israel over the radio and he demanded a bus and a plane be provided for his men and his hostages. The Austrian authorities — only too aware of the disastrous events at the Munich Olympics three years before — agreed and all the hostages were released unharmed when the plane landed in Algeria. ​The attack shook OPEC to the core and the cartel did not hold another summit for 25 years. OPEC's mission statement, on its website is "to coordinate and unify the petroleum policies of its Member Countries and ensure the stabilization of oil markets in order to secure an efficient, economic and regular supply of petroleum to consumers, a steady income to producers and a fair return on capital for those investing in the petroleum industry." Two of the world's biggest oil producers — Russia and the United States — are not members of OPEC and they have very different views on oil prices. ​US President Donald Trump wants oil producers, including Saudi Arabia, to lower world crude prices but OPEC and Russia disagree with Washington. In 2016 OPEC members voted to cut production for the first time in eight years, in an attempt to raise falling prices. Russia, which produces 11.2 million barrels a day, said it would support the cut in production. What was known as the Vienna Agreement is up for discussion again this week. At a press conference following the G20 summit in Buenos Aires on Saturday, December 1, Russian President Vladimir Putin announced Moscow and Riyadh had agreed to prolong the OPEC-non-OPEC oil production cut deal. Russian President Vladimir Putin and his Venezuelan counterpart Nicolas Maduro are to discuss the Vienna Agreement when they meet in Moscow on Wednesday, December 5. UAE Energy Minister Suhail Mazrouei said Qatar's decision to leave OPEC was unlikely to have an impact on the so-called OPEC-non-OPEC oil production cut deal. "I don't think that it will affect the decision or it will affect the delivery of production…Qatar production is small and it's not significant to the organisation," Mr. Mazrouei told reporters. Carlos the Jackal was captured in Sudan in 1994 and extradited to France, where he is serving life in prison for a series of terrorist attacks in the 1970s. He has never been charged in connection with the attack on the OPEC summit.